I’ve always really loved smoothies. They’re fresh, sweet, and packed with ingredients that help fuel and detox your body. Of course, there are some smoothies that aren’t so healthy. You know, the ones made with sugar laden juices, chocolate syrup, or non-organic peanut butter, but when you’re attentive to what goes into your smoothies they can be a great source of energy and detoxification. This is especially true for green smoothie recipes! 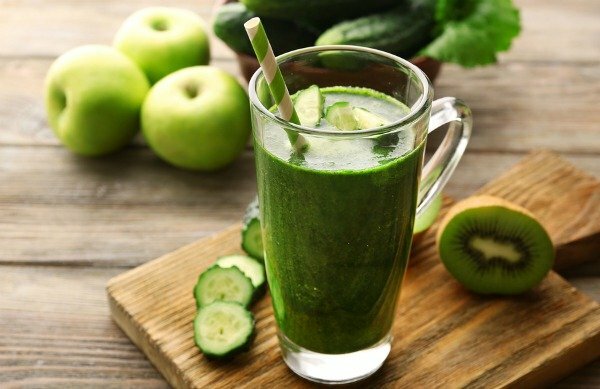 Over the past few years, green smoothies have blown up in popularity due to their amazing cleansing and health benefits, and yes, there is real truth behind the green smoothie madness! I like to have a green smoothie AT LEAST once a week, but once a day is preferable. It’s a quick way to load up on your greens without having to scarf down broccoli and kale at the dinner table every night. Most of us don’t eat nearly as many greens as we should, and smoothies are a great way to remedy this on the go. You can even blend up a batch at the beginning of the week to store in the fridge. The blend will last you for a few days, and it’s so easy to bring with you before work or on the way to the gym! Green smoothies can also aid in weight loss! How you ask? There are key green ingredients that detox your body, make you feel full, and all around promote a healthier lifestyle. I’ll break them down for you below. Kale has zero fat and is super low in calories, so right there you can see how this leafy green contributes to weight loss. 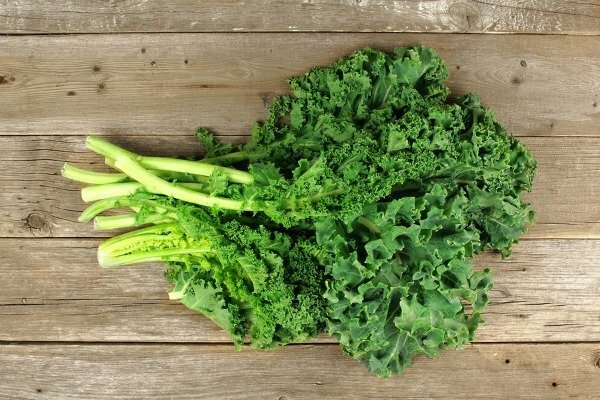 Just one cup of kale is LOADED with vitamins A, C, K and B6, as well as manganese, calcium, potassium and more! It’s high in fiber and also packs a mean antioxidant punch with beta-carotene, vitamin C and flavonoids like quercetin and kaempferol, which are super-nutrients! You can alternate kale and spinach in your smoothies if you prefer one over the other, or just feel like something new from day to day! 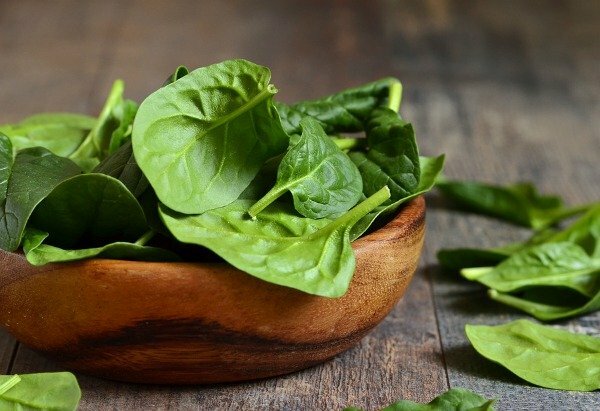 The nutrients you get from spinach are pretty similar to kale – iron, magnesium, calcium, and tons of vitamins and antioxidants, plus it’s very low in calories. It has also been found that spinach helps curb cravings for sweets, treats, and other unhealthy foods. Curbing these cravings will ensure you’re not packing on the pounds due to those fatty eats. I worked at a tea store for two years and it was one of our biggest sellers due to its health benefits and weight loss properties. 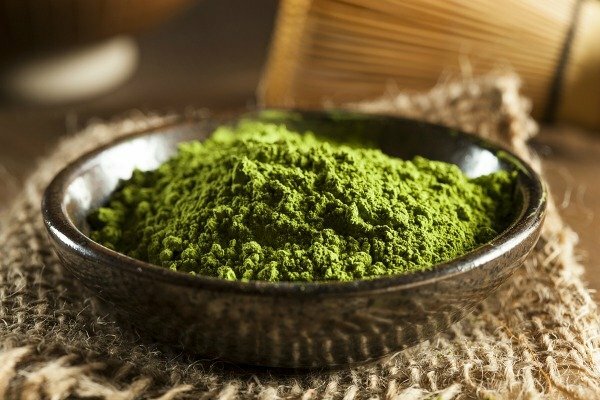 A teaspoon of matcha boosts your energy just as much as a cup coffee(! ), and is loaded with anti-oxidants. It also speeds up your metabolism and really flushes your system for a healthy detox. Just add a scoop to your favourite smoothie recipe in the morning and reap all the feel-good benefits! 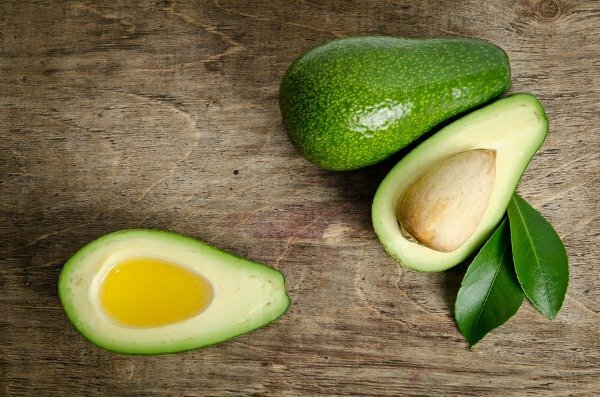 Avocado is chock-full of nutrients, minerals and vitamins, and the type of fat found in the green fruit (mono-unsaturated fat) is actually essential for weight loss. Not only that, but it’s one of the best hunger eliminators around! It also helps regulate your sugar metabolism because of its high vitamin K content. Adding an avocado to your smoothie is one of the best things you can do pre-workout, as it majorly boosts your energy and keeps your metabolism revved even after you’ve finished your gym sesh. I also have a few suggestions of my own for ingredients that will take your green smoothies up a notch in terms of weight loss. Protein allows you to feel full for longer, which makes it less likely that you’ll snack on other unhealthy foods. 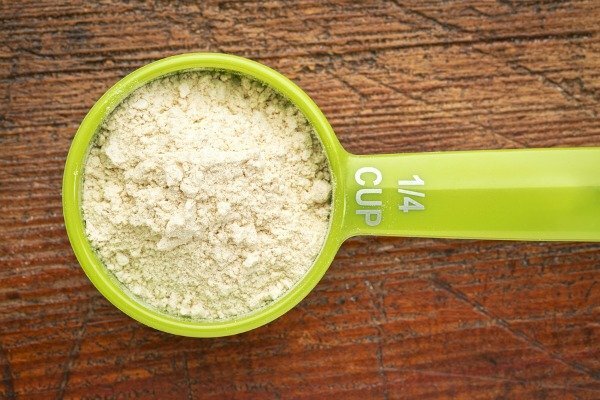 There are a lot of protein powders out there, so make sure you do your research to find one that is good quality and will work for your taste buds (I love vanilla!). Chia seeds are another ingredient I add to ALL of my smoothies. They’re like this little super seed that has recently blossomed in the health world with so many amazing benefits! 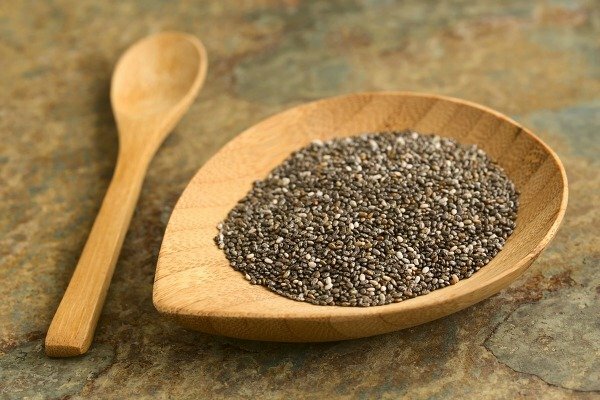 Chia seeds are pretty much tasteless so adding them to your smoothie doesn’t make much of a difference taste-wise. They’re also super high in antioxidants, as well as protein and fiber, which both have been found to aid in weight loss. From Oh She Glow’s famous Green Warrior, to a delicious vanilla matcha blend from The Full Helping, take a look at the 25 best green smoothie recipes for weight loss! Looking for MORE green smoothies to try? Check out Simple Green Smoothies: 100 Tasty Recipes to Lose Weight, Gain Energy, and Feel Great in Your Body – it is loaded with some pretty fabulous recipes! So there you have it. 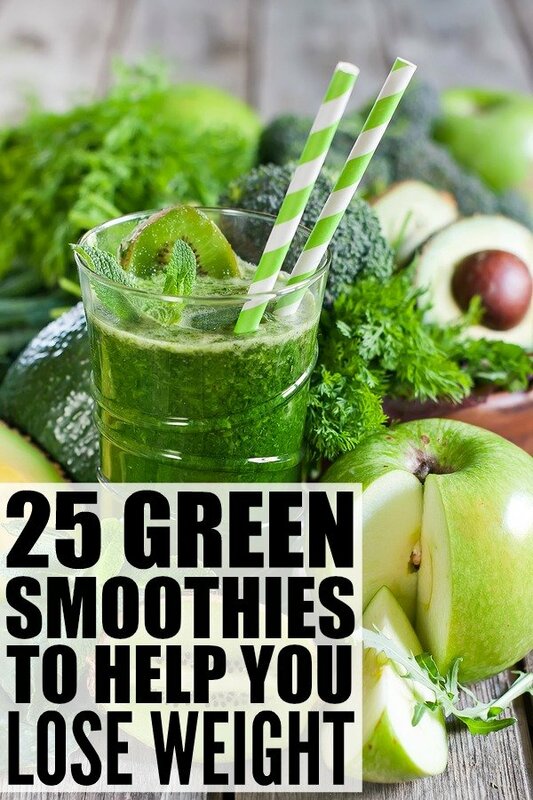 25 green smoothies to help you loose weight! Work them into your morning routine, or before or after your workouts to fuel, cleanse and shed those unwanted pounds! If you enjoyed this collection of green smoothie recipes for weight loss, please share them on Pinterest! And if you’re looking for more health-related tips and tricks to help you look and feel your best year-round, please follow our Health board where we share all kinds of great ideas!